Home » Toys & Games » The Hottest Toy Story 4 Pre-Orders, Yee-Haw! You’ve got a friend in Buzz Lightyear and Sheriff Woody, and in a whole new collection of characters featured in the upcoming Toy Story 4. A generation of children has grown up with Toy Story and the gang from Andy’s room is still going strong as a pop culture phenomenon. Parents who were kids when the original movie premiered now share all the movies and toys with their children. The trend continues this year with the latest lineup of Toy Story toys and figures featuring new editions of favorite characters, including Nendoroid versions of Woody and Buzz, and a new batch of Funko Pop! vinyl figurines. Add Bullseye or Slinky Dog as companions to your Woody, or fill out your Buzz Lightyear Space Ranger troop with Mrs. Nesbitt. Toy Story 4 opens in June but some of these toys are available as early as March and you can pre-order all of them right now. Be the first among your friends to add these new releases to your collection. 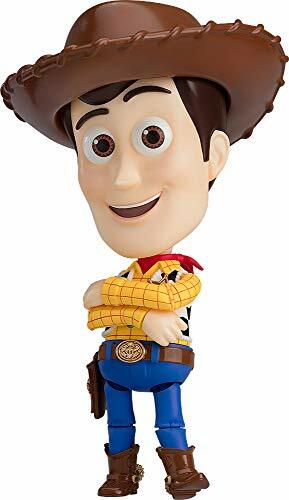 Nendoroid’s signature articulated parts create an amazing rendition of Woody in stunning detail. With additional arm pieces and face plates, Woody can be posed in several classic styles. This Woody figure is sculpted to be a little bit taller than most Nendoroids so he’s on the same scale as Buzz Lightyear when placed next to each other, since Woody is taller than Buzz in the movie. “To infinity and beyond!” Buzz Lightyear seems to come alive with this Nendoroid action figure. He’s fully articulated, including eyes that you can move to look in any direction, and his visor is removable. 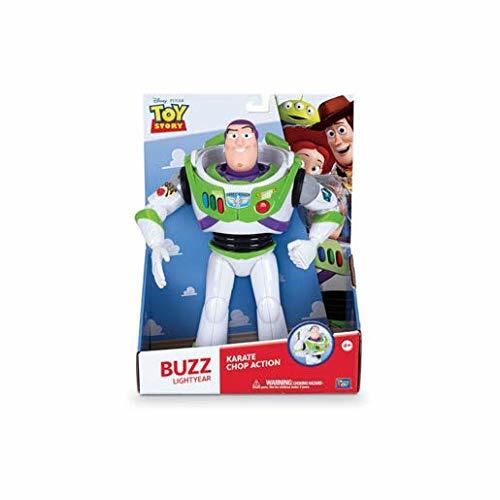 This deluxe edition comes with special arms so you can pose Buzz as he’s readying his laser beam and features an face plate and sets of eyes so you can change his expression. With all these features Buzz can be displayed in a variety of ways. He also comes with a stand that displays Buzz and Nendoroid Woody (sold separately) posed while falling with style. COWBOY LOOK IS COMPLETE WITH VEST, SHERIFF STAR, HOLSTER & HAT. “Reach for the sky!” Sheriff Woody is on duty! Bring this huggable soft fabric toy along on all your adventures or place him on the shelf among your favorite toys. He comes with his hat and boots, and the toy features little details like his badge and belt buckle to recreate his appearance from the film. 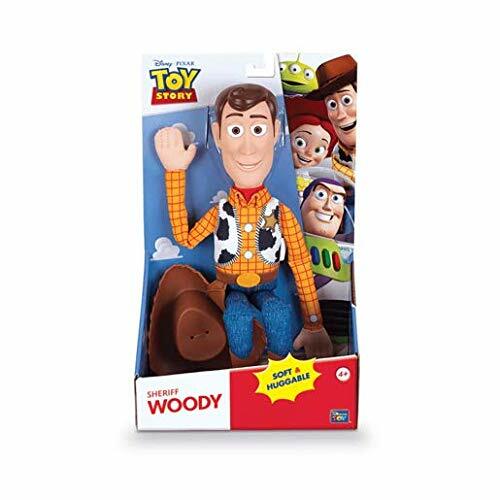 Woody is a must-have for Toy Story fans of all ages. This space Ranger action figure comes with poseable arms, wrist, waist & head! When you’re in a tight spot, call on Buzz Lightyear for help. Press the button on Buzz’s back for karate-chop action, just like in the movie. 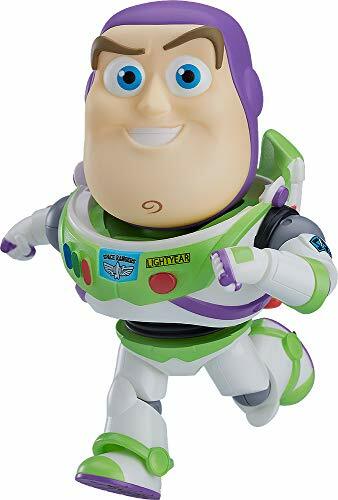 The world-famous Space Ranger also features posable arms, legs, waist, and head so he’s ready for any adventure, or you can display him in a variety of poses. 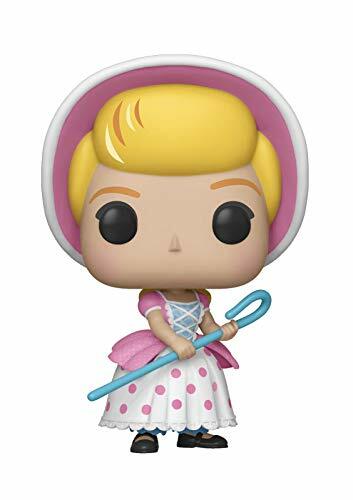 From Toy Story, Bo Peep, as a stylized POP vinyl from Funko! Complete your Funko Pop! Toy Story collection with this new Bo Peep, who makes a return in Toy Story 4. Cutely styled after the movie character, this sassy shepherdess will watch over your entire flock of toys and figurines. From Toy Story, Bullseye, as a stylized POP vinyl from Funko! If you already have a Funko Pop! Woody then you need to add his trusty horse Bullseye to your collection. 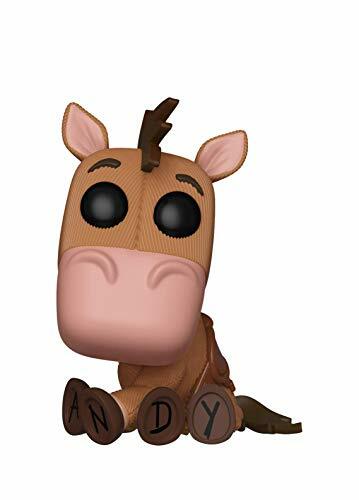 Details like “ANDY” spelled on the bottom of his feet add even more charm to this vinyl figurine. Bullseye is incredibly loyal to his friends, so don’t leave him behind. From Toy Story, Woody with RC, as a stylized POP ride from Funko! Stylized collectable is perfect for any toy story fan! Collect and display all Toy story product from Funko! Woody will do whatever it takes to rescue Buzz and make it back to Andy. 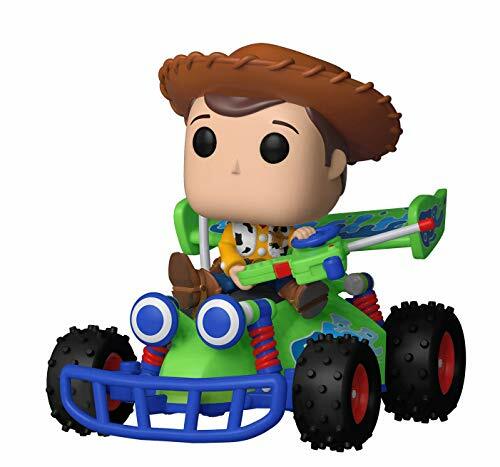 One of the most iconic scenes from Toy Story is celebrated with this Woody with RC figure styled as a Funko Pop! Ride. This is a great piece for any fan of the original movie. Pick it up now before this ride takes off without you! 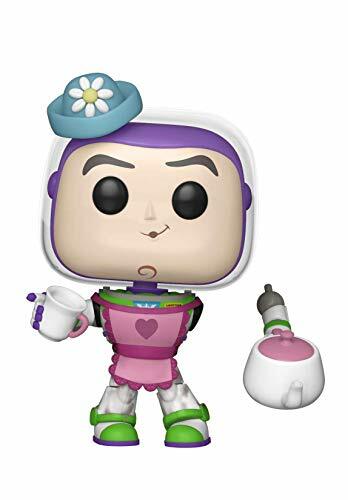 From Toy Story, Mrs. Nesbit, as a stylized POP vinyl from Funko! Be sure to add Mrs. Nesbitt to the guest list for your next tea party. The new figurine by Funko Pop! is designed with a charming hat and teapot, and Mrs. Nesbitt’s detached arm. This Buzz Lightyear in disguise is the perfect addition to your Toy Story collection. One of Woody’s best friends, Slinky Dog is always there to stretch out a helping hand or play a game of checkers. This Funko Pop! edition doesn’t stretch like a Slinky but the signature style makes for an adorable companion for all your toys. 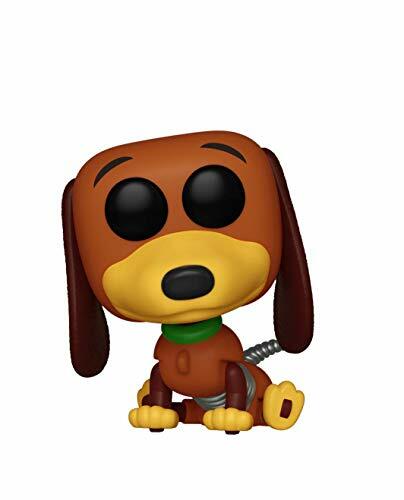 From Toy Story, wheezy, as a stylized POP vinyl from Funko! 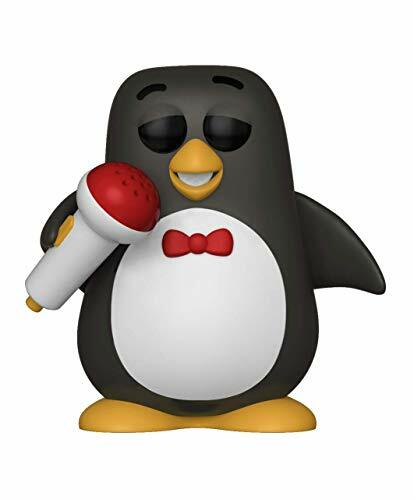 Place this crooning Wheezy on your bookcase, but in the spotlight, not out of the way as a forgotten toy. Imagine this Toy Story 2 star serenades you with a song when you add him to your Funko Pop! collection. Collect all these Toy Story Funko Pop! vinyl figures before they’re vaulted!